Sick of carrying a bottle of wine around in your purse? 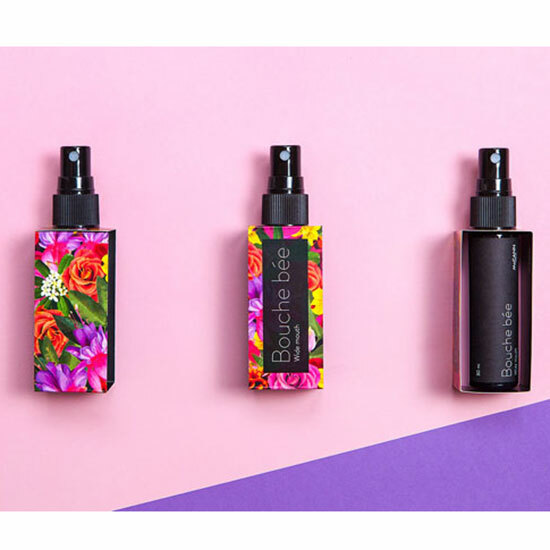 Now you can give yourself a spritz of Beaujolais on the go with Bouche bée Wine Spray. Created by the Lithuanian ad agency McCann Vilnius, this breath freshener-sized spray bottle purports to be a discrete way for employees to enjoy some wine at work. With tongue very much in cheek but mouth wide open for the latest wine spritz, the agency developed the concept to celebrate their annual Beaujolais Nouveau event. McCann Vilnius claims that sprayable wine also helps bring out some of Beaujolais’s distinctive scent, though if wine in a spray bottle is your thing, you’re probably not much of a connoisseur. Even more important, make sure to always aim your wine away from clothing. Sprayable wine seems like a surefire way to ruin every white fabric in sight. Unfortunately, no information is provided on how to get your very own bottle of Bouche bée Wine Spray. For now, you can just pick up a spray bottle and fill that with your favorite vino. I wonder what a good sprayable white would be? Maybe Pinot Grigio?